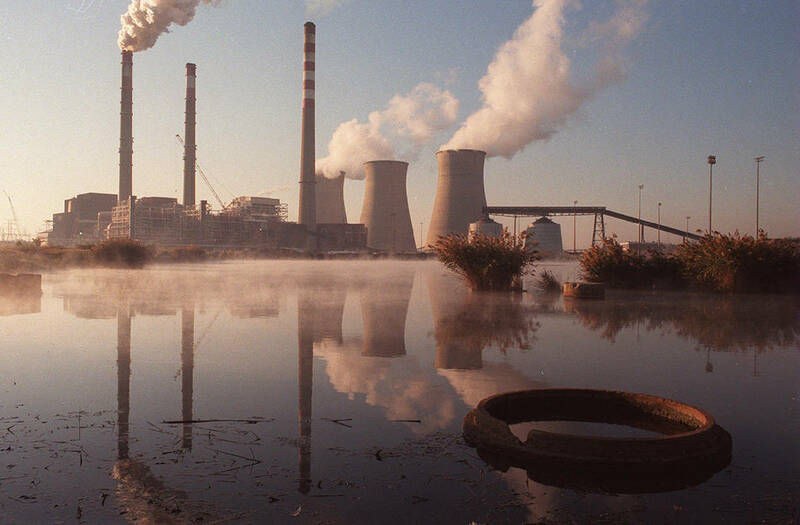 The Paradise Fossil Plant near Drakesboro, Kentucky, is one coal TVA might consider closing. Updated at 8:56 p.m. on Monday, Feb. 11, 2019, with documents. The Tennessee Valley Authority is proposing to close two more of its coal-fired power plants due to stagnate or declining power demand in its 7-state region. Despite opposition to the plant closings from President Trump and Senate Majority Leader Mitch McConnell Monday night, TVA's final environmental assessments released Monday concluded that TVA should shut down both the Bull Run Fossil Plant in Oak Ridge and the Unit 3 generator at the Paradise coal plant in Kentucky by 2023. The assessments prepared by TVA's staff over the past year said Paradise and Bull Run are among the coal-fired units with "relatively high projected future maintenance costs and environmental compliance expenditures, a high forced outage rate and poor generation fit" for TVA's future power demands. The TVA board, which meets Thursday in Chattanooga, is scheduled to discuss the future of the two aging coal plants and could vote to phase out the fossil units over the next four years. TVA has already either shut down 32 of the 59 coal-fired units it once operated and has been considering since last August shutting down Bull Run by 2023 and shuttering the final coal unit at Paradise by 2020. The potential of shutting down more of TVA's coal generation provoked responses Monday night from both President Trump and Senate Majority Leader Mitch McConnell, the Kentucky Republican who represents the state where Paradise has operated for the past half century. "Time and again, the people of Kentucky have loudly spoken in support of coal," McConnell said in a video statement to the TVA board. "I'm proud to join them in opposing the closing of Paradise Unit 3." President Trump, who promised during his 2016campaign to work to revive America's coal industry, voiced similar concerns about TVA making further cuts in its coal-fired generation. "Coal is an important part of our electricity generation mix andTVA should give serious consideration to all factors before voting to close viable power plants, like Paradise #3 in Kentucky," Trump tweeted. TVA spokesman Jim Hopson responded to Trump's tweet in a statement Monday night. "Mr. President, coal is an important part of TVA's power generation mix and we will give serious consideration to all factors as we make this decision," he said. But the assessment done by TVA staff concluded that the Paradise and Bull Run plants do "not fit current and likely future portfolio needs" since natural gas remains relatively cheap, energy efficient appliances and furnaces are reducing electricity demand and more customers are generating their own power with solar panels or windmills. TVA also added a second unit to its Watts Bar Nuclear Plant in Tennessee two years ago and is expanding its generating capacity at its oldest nuclear plant, the three-reactor Browns Ferry Nuclear Plant in Alabama. Paradise Unit 3) "does not provide the level of flexibility needed to balance hourly, daily and seasonal changes in energy consumption," the TVA final environmental assessment concludes. "In addition, cycling the unit off and on results in more wear and tear and higher operation and maintenance costs." TVA has already shuttered the other two coal units at Paradise and replaced that generation with a combined cycle natural gas-fired facility. From its peak in the 1980s when coal generation once supplied more than two thirds of TVA's electricity, the share of TVA's power generated from burning coal has shrunk to only about 20 percent of TVA's total electricity sales. But shuttering Bull Run and Paradise has drawn opposition from elected officials in Tennessee and Kentucky. Tennessee State Sen. Ken Yager, a Kingston Republican and member of Senate Energy, Agriculture and Natural Resources Committee, said the White House is easing carbon emission standards for coal plants to help revive the coal industry so the costs of complying with clean air standards is going down for most coal plants. "Bull Run has provided base-load capacity to the electrical grid — providing stability; ongoing energy security through a steady electricity supply; and other important transmission system attributes," Yager said in a letter to TVA last year. "Additional maintenance and prudent operational practices could improve the unit operation so that the capacity continues to serve as a critical asset, available to provide exceptional reliable, base-load power necessary for the efficient operation of the electrical system." The Bull Run Fossil Plant, located on the Bull Run Creek near Oak Ridge, is the only single-generator coal-fired power plant in the TVA system and went into operation in 1967. The plant has a capacity of generating 881 megawatts of power, or enough to supply about 400,000 homes. The first two units at the Paradise Fossil plant in western Kentucky went on line in 1963 but were retired in 2017. The unit 3 coal generator at Paradise became operational in 1970 with a capacity of 1,150 megawatts, or enough power to supply about 950,000 homes. Kentucky Gov. Matthew Bevin appealed to TVA last month not to close Paradise, calling the proposed shutdown of the coal plant "a huge mistake." "The impact on our economy and our region's long-term energy grid reliability would be devastating," Bevin said in a letter to TVA President Bill Johnson. "In Kentucky, we respect and value our coal-fired power plans and we strongly oppose any efforts to prematurely retire any of our fleet." The TVA board will consider the future of the Paradise and Bull Run plants at its quarterly meeting at 9:30 a.m. Thursday in the Missionary Ridge auditorium in TVA's Chattanooga Office Complex at 1101 Market Street in downtown Chattanooga.